We got to watch some (sort of) football last weekend at Halas Hall, as Kevin recaps Bears rookie minicamp. 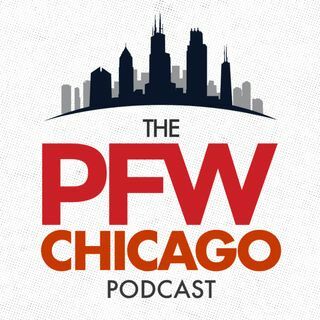 We played an interview with new QBs coach Dave Ragone (3:15) and talked with friend of the program Pat Finley of the Chicago Sun-Times (14:15) about the quarterbacks and some of the undrafted rookies Bears fans should monitor this spring and summer. Sixth-round pick DeAndre Houston-Carson went one-on-one with Kevin discussing blocked kicks and famous William & Mary alums (36:00). Next ... See More week, OTAs begin, so stay tuned to the Chicago Football Podcast!